E X P L O R E A D D I N G D E P T H T O Y O U R O P E R A T I O N S • Hole diameters from less than 0.04 inch to 20 inch and beyond • Hole depths from less than 1 inch to 32 feet or deeper • Depth-to-diameter ratios of 10:1 to beyond 300:1 • All materials, from aluminum to superalloys Visit www.unisig.com or call 1-262-252-3802 to learn about our commitment to your success. 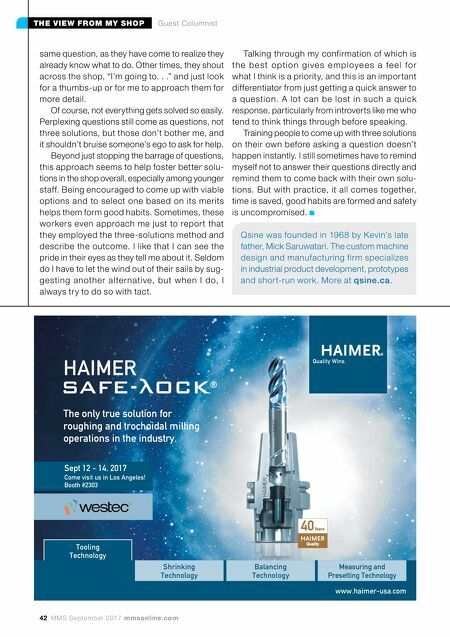 Drill any deep hole perfectly and productively. D eeper understanding. D eeper capabilities. D eeper commitment. 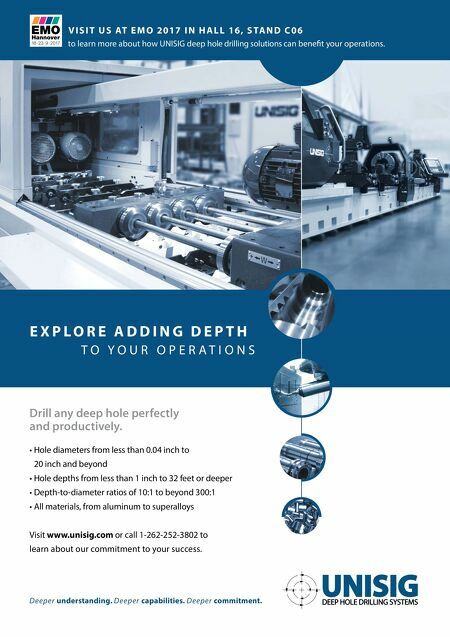 V I S I T U S AT E M O 2 0 1 7 I N H A L L 1 6 , S TA N D C 0 6 to learn more about how UNISIG deep hole drilling solutions can benefit your operations.